What is the Bellanina Facelift Massage? Not a “facial” but a massage oriented treatment for the face, the Bellanina Facelift Massage can lift your face and spirits through a series of acupressure strokes, contouring strokes, effleurage, tapotement and lymph drainage while relaxing the body as well. A massage to the hands, feet, neck, shoulders and scalp is also included. Benefits: Firmer, more toned skin, youthful glow, very relaxing. Results we’ve seen: Decreased eye puffiness, firmer cheeks and jaw line, and softening of the naso-labial fold lines. 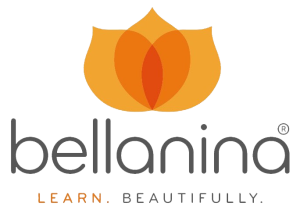 For information about learning the Bellanina Facelift Massage technique for your own clients, please contact me directly. 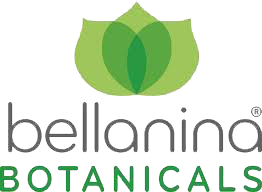 Bellanina Botanicals have been carefully selected and crafted to address all skin types and a myriad of conditions using the very best of proven botanical and active ingredients. Holistic products are combined with botanical ingredients to support and enhance your skin’s own natural functions. Ask about our six-step daily skin care system which will keep your skin looking smoother, healthier and more vibrant as well as diminish and prevent aging concerns. Using select products that are specially designed for your skin type will help you achieve maximum results. Bellanina Cosmeceuticals have been carefully selected and crafted to address all skin types and a myriad of conditions using the very best of proven active ingredients which result in potent anti-aging solutions. We offer you products with revolutionary ingredients to support and enhance your skin’s own natural functions.Designed to intensively treat the premature signs of aging, Bellanina Cosmeceuticals are more potent and provide greater results than typical over-the-counter products. Your skin will immediately blossom with the active ingredients found in these formulas such as alpha lipoic acid, glycolics, stem cells and peptides. The result is beautiful skin in balance with your healthy life routine. If you are interested in purchasing Bellanina products from Susan, you can do so via PayPal below!